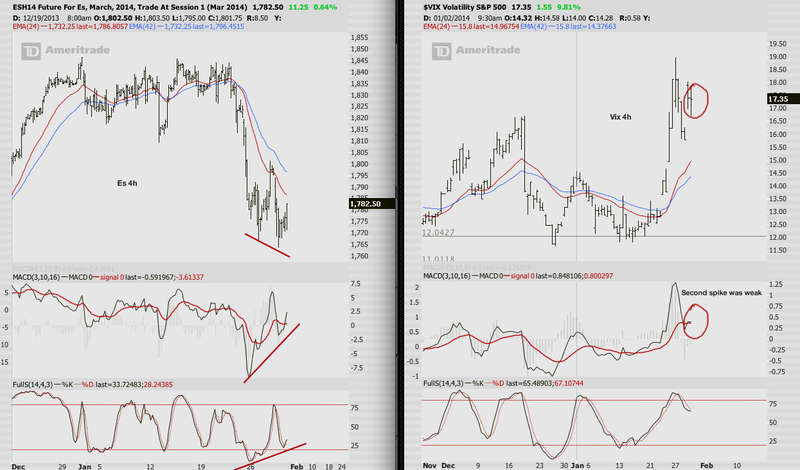 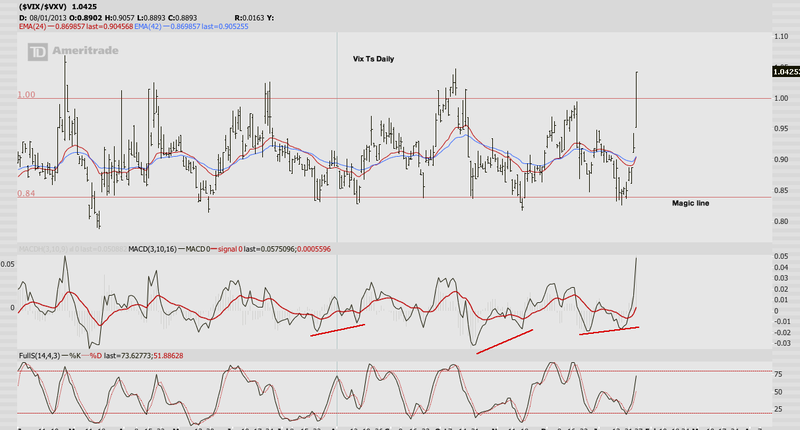 I think we saw a swing bottom yesterday, we had that flushout that set up the perfect momentum trade. 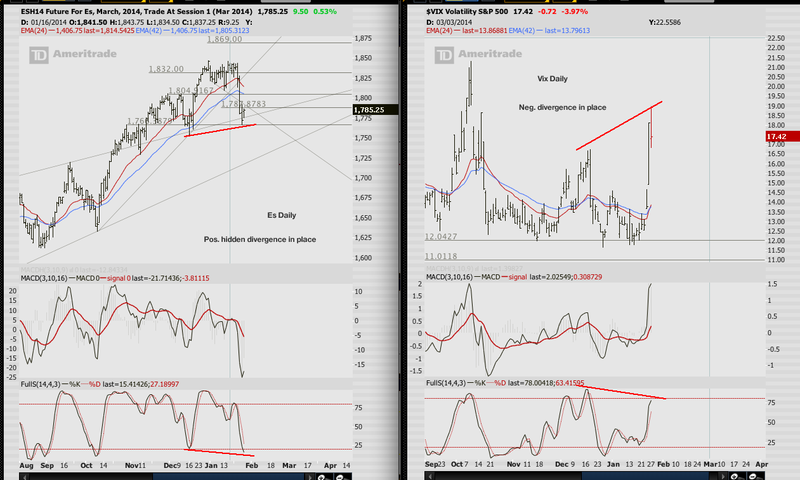 Vix momentum was supportive of a long trade. 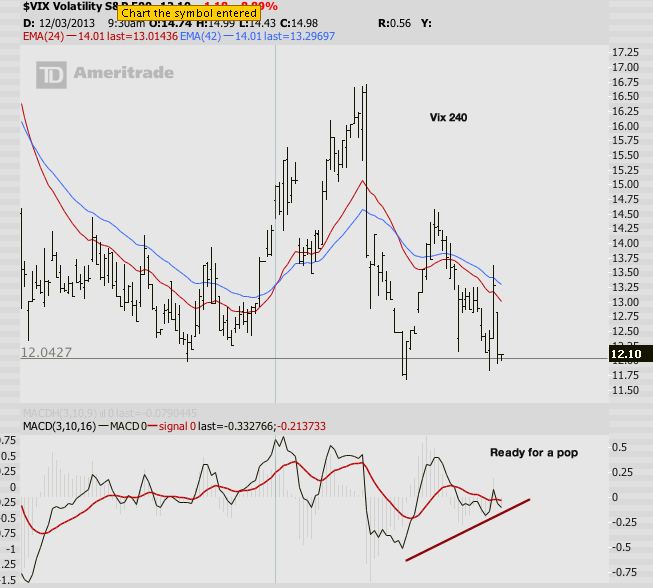 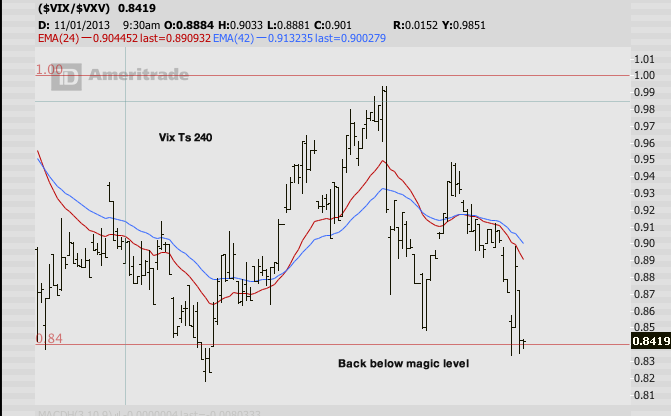 Reshorted vix at higher level than had before, i was yet again too early to the party. 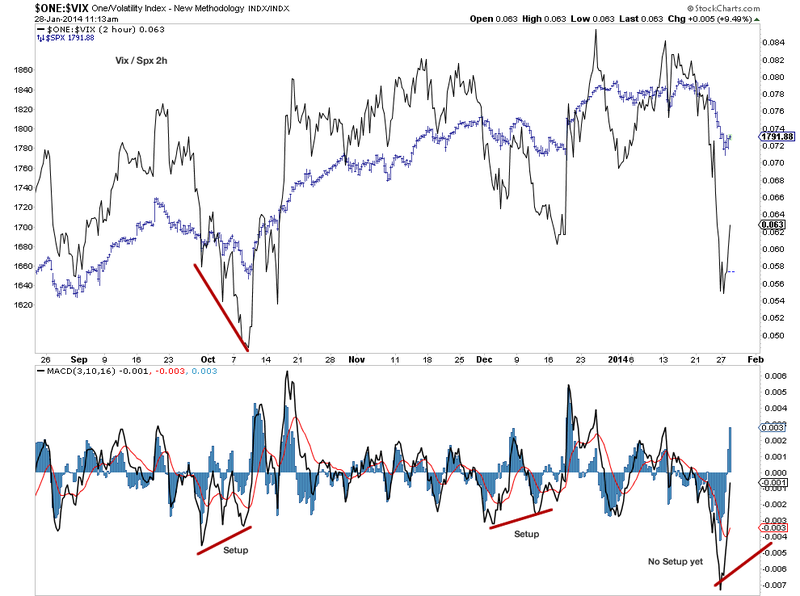 Momentum sais we ideally will see another spike higher in vix, but probably not a new high – That would be the ideal momentum setup. 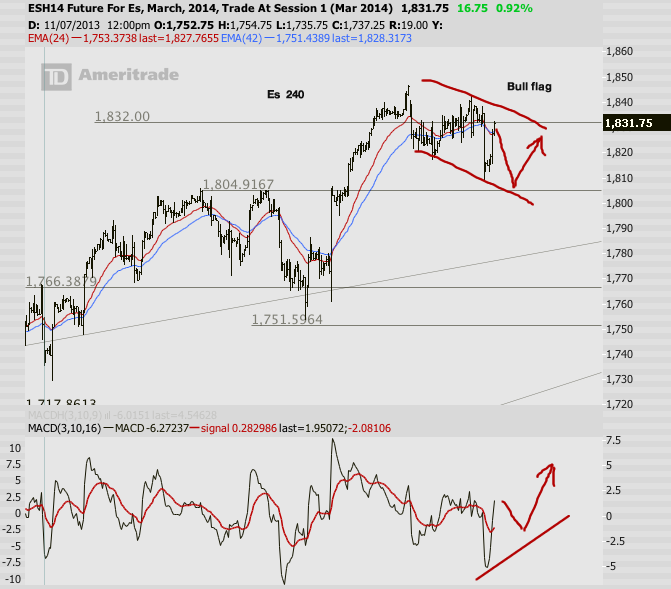 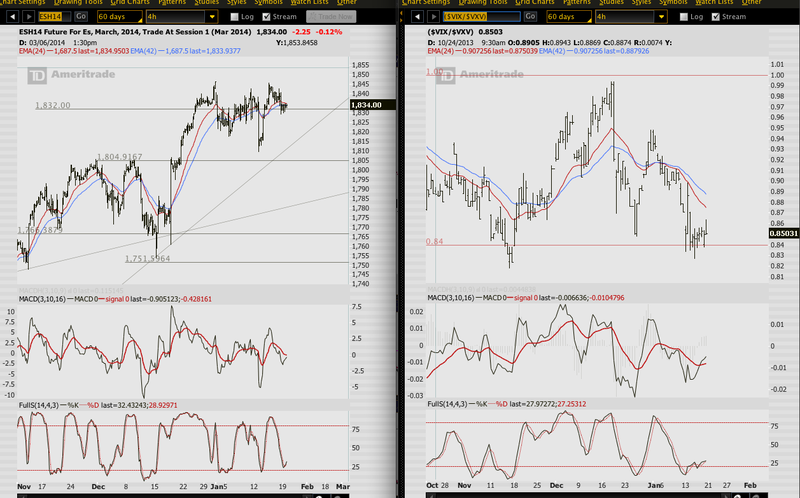 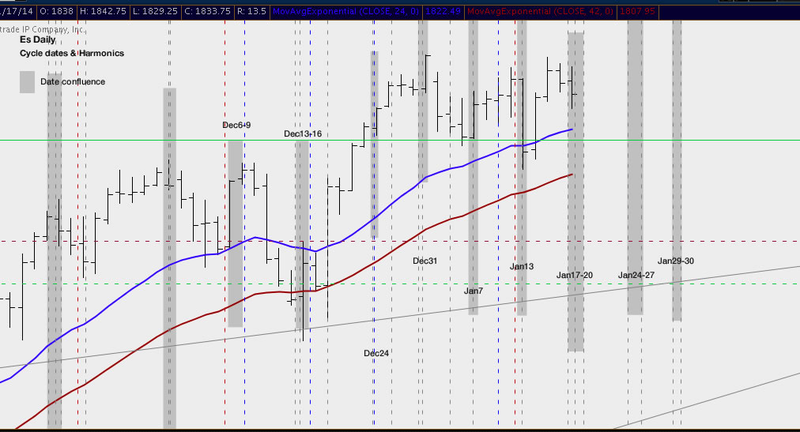 Es might come down for a flushout before we make new ath‘s. 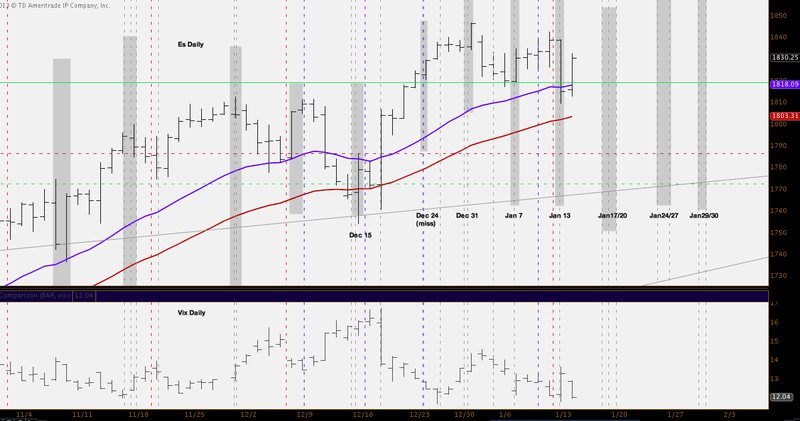 Es daily system is still far from buy signal.